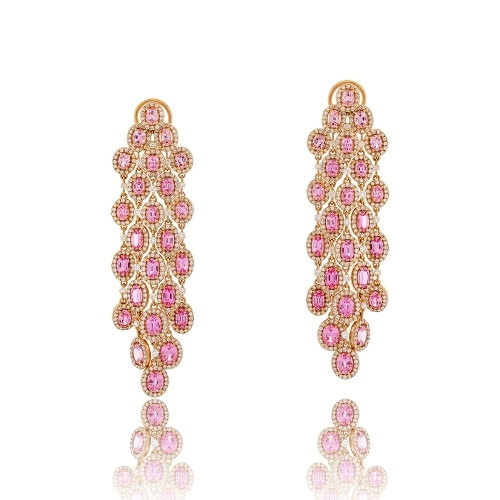 Strands of pink sapphires surrounded with brilliant diamonds set in 18k rose gold. Diamonds approx. 4.08. Earrings 2.75"